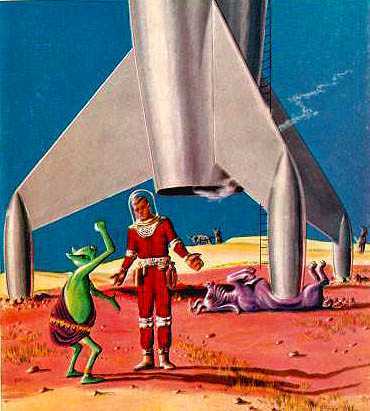 For decades, sf fans have dreamed of having rocket ships that can land on their tails, like sf writers intended. Even though there may be unanticipated consequences. Elon Musk's SpaceX rockets are intended to be reusable - and yes, they are intended to land on their tails. Take a look at this video, which combines Johnny Cash Ring of Fire action with actual tail fire-enabled take-offs and landings. Now, of course, the goal is to go “higher and further.” All in service, Musk says, of putting the prospect of establishing a human base on another planet — Mars is the dream — within our technological and economic reach. From The Star via Next Big Future.